Hier nous avons reçu la triste nouvelle que notre collègue Peter deMarsh, directeur de l’Alliance internationale de foresterie familiale (AIFF), faisait partie des personnes à bord du vol de Ethiopia Airlines qui a malheureusement aboutit à une tragédie aérienne, peu de temps après son décollage à destination de Nairobi, au Kenya. Cet appareil comptait plusieurs passagers qui se dirigeaient vers la capitale kényane afin d’assister à l’Assemblée des Nations Unies pour l’environnement. Peter was a wonderfully intelligent and inspiring person, who always spoke from his heart. 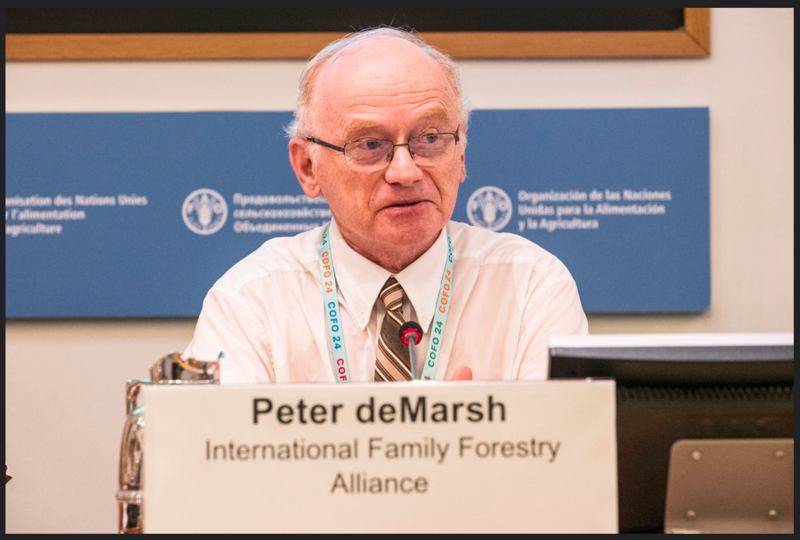 He guided the work of IFFA for many years, representing small forest owners in the United Nations Forum on Forests (UNFF), among many other achievements. He was also an enthusiastic organic farmer. He was someone who was deeply admired for his passion for forests and a true advocate for the thousands of families that try to manage their forests in a more sustainable way. You can listen to interviews with Peter here and here. He will always be in our hearts. May he rest in peace. We also mourn the tragic deaths of Victor Tsang, who was an important ally to the Women’s Major Group, members of the Children & Youth Major Group, and many other CSO colleagues, youth representatives, activists, scientists and UN staff on the flight to Nairobi. They will be sadly missed. Our thoughts are with their families, friends and colleagues, and we wish them much strength to cope with this great loss.